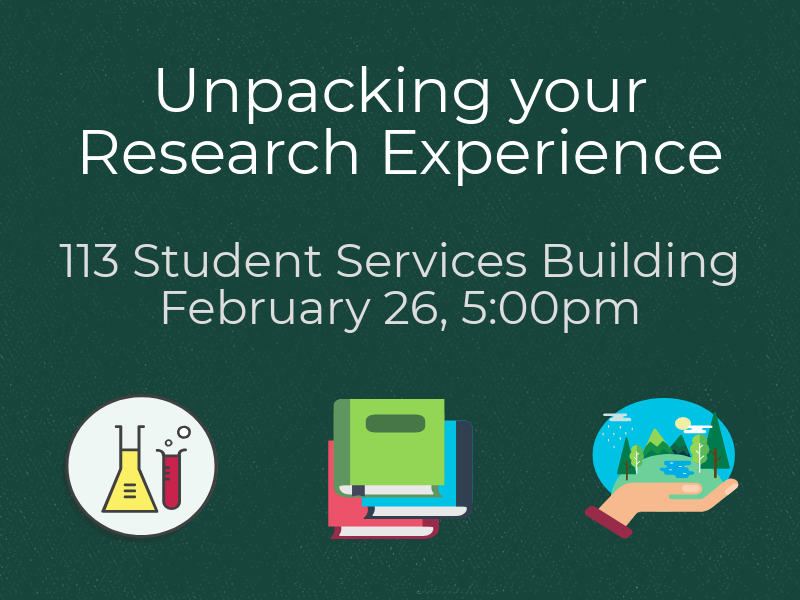 Have you thought about how the skills you are gaining through your undergraduate research experience will assist you in the future? Come learn about strategies for communicating your abilities to others, such as graduate schools and future employers. This workshop will include information about creating an elevator pitch related to your research and an opportunity for you to critically reflect on the skills you have built by being involved in undergraduate research. Come prepared to interact and engage with your peers about your research! Check out the Handshake event here! No RSVP required.